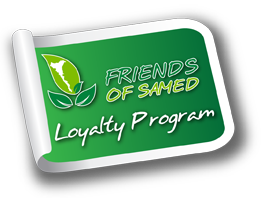 Situated on the beautiful, unspoiled island of Koh Samet in the Gulf of Thailand, Samed Club is nestled into a jungle-covered hillside that rolls gently down on to a quiet stretch of pristine white sand beach along the north coast of the island. The unique natural setting of the resort provides a peaceful escape from the pressures of modern life and a chance to forget about any stresses and worries for a while. The contemporary bungalow style accommodation offers simple comforts that blend harmoniously with the natural surroundings, so you experience the charm and replenishing qualities of being at one with nature. With a beautiful swimming pool area hidden away in tropical gardens, friendly attentive Thai hospitality and one of the most tranquil beach front settings to be found anywhere on Koh Samet, experience the laid back resort ambiance inspired by traditional Thai life on a tropical island. Samed Club offers simple luxuries for couples and families seeking a rustic, natural beachfront hideaway. 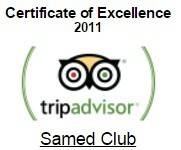 From Samed Club, enjoy swimming in the sea or pool, plus canoeing, beach volleyball and soccer. Offsite options bookable from Samed Club include scuba diving. A total of 28 bungalows, ranging from beachfront rooms and garden cottages to Deluxe hillside and deluxe cottages, all with sea, garden or mountain views. Location on the most popular beach on the island, there are ample opportunities For beach sport such as volleyball and soccer.